I am so pumped today to play host to Vanessa Kelly. Vanessa is one-half of the husband-and-wife writing team, V.K. Sykes. 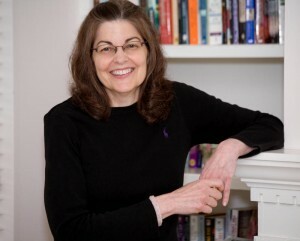 She’s also a writing pal, a fellow Canadian, and a fellow Rock*It Reads author. Vanessa and her hubby Randy Sykes have a brand new sports romance out, this one an awesome romantic suspense. Take it away, Vanessa! VANESSA KELLY: Hi, Norah! 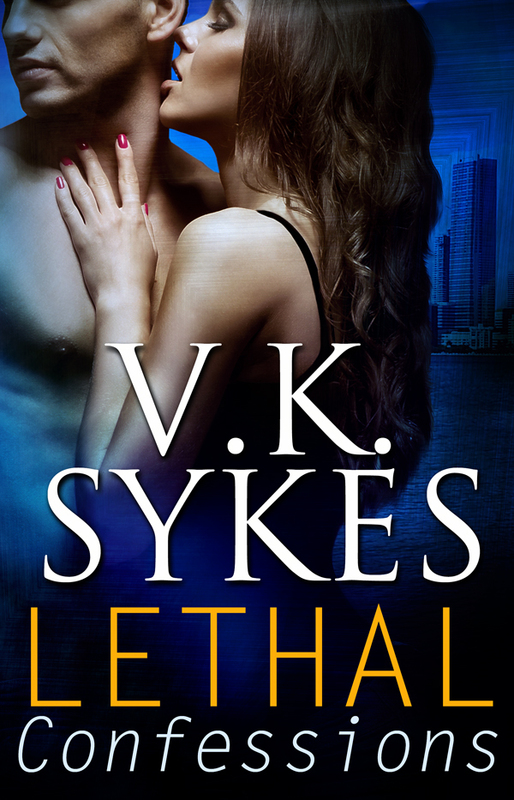 Thanks so much for helping me celebrate the release of my new VK Sykes romantic suspense, Lethal Confessions. When my hubby and I were brainstorming characters for Lethal Confessions, we decided we wanted our heroine to be a fish-out-of-water. The setting for the story is the world of minor league baseball in Palm Beach County, Florida. We knew our heroine would be a homicide detective, and we knew she would be smart enough and tough enough to fit into that demanding environment. But we also wanted her to be something of an outsider. So we made Amy Robitaille a transplanted Francophone from Quebec who emigrated with her parents from Montreal to Palm Beach when she was a young teenager. Amy hated the move to Florida, but over the years she eventually came to embrace her new country. But she never forgot her beloved Quebec, or completely gave up thinking in French. It was a lot of fun to put her in situations with the tough alpha males—some of them good old boys—who work with her in the Homicide Unit. Here’s a little snippet of Amy—the first meet with the hero, former pro baseball player, Luke Beckett. The tall, broad-shouldered man strode through the double sliding doors of the hospital as if he owned the place, and suddenly Amy Robitaille felt like she was sixteen again. Back home in Montreal with her girlfriends. She didn’t much care for the feeling and almost stumbled over her own feet in surprise. Luke Beckett. The last time she’d seen the man in the flesh had been when her girlfriends had dragged her to a late season Montreal Expos baseball game to moon over him. Le Grand Luc, the player soon to be named rookie of the year, already darling of the team’s faithful, and heartthrob to practically every silly female in Quebec. Amy almost laughed. Could it really be fifteen years ago? She felt like she’d aged a half-century in the meantime. But the years had treated Beckett with an easy hand. He was still as hot as the twenty-two year old superstar whose talent and ambition had overshadowed even Montreal’s hockey stars for a few years. Maybe even hotter. Maturity sat well on his lean, handsome features. As he strode through the lobby in her general direction, she automatically gave him a quick scan. She was used to working with big men—tall, burly cops who threw off guy hormones like a wet dog shakes off water. But Beckett, as big as he was, had more than size and GQ looks. He had the smooth grace of the gifted athlete. And, deep inside, in a place she kept under lock and key, something responded to all that masculine perfection and power, sending a flush of unwelcome heat purring through her body. Beckett glanced her way, catching her undoubtedly startled expression and the brief hitch in her step. Then he dropped his eyes to the gun and badge on her belt. He veered toward her, his mouth lifting in a dazzling smile that froze her in her tracks. Amy didn’t want to stop. She had no desire to speak to Luke Beckett, however famous or handsome he might be. But Beckett clearly had her in his sights. He strolled up to her, assuming, no doubt, that a lowly police detective, especially one of the female variety, would welcome a brief brush with greatness. “Ma’am, I just thought I’d say hello,” he said in a seductive southern drawl. “I talk to a lot of police officers here at the hospital, but we haven’t met before. I’m Luke Beckett.” He stuck out his hand, a mitt big enough to engulf both of hers. He clearly thought she’d recognized him, and he was right. Reluctantly, her hand came forward and disappeared into his oversized paw. “Detective Amy Robitaille.” She inwardly cursed the catch in her voice. He must have heard it, too, because his smile kicked up a notch. He tilted his head, looking curious, and a lock of black hair feathered across his forehead. Calice, this guy is good. Maybe he practiced in front of a mirror. Beckett shifted a little. Not enough to block her path, but enough to make it clear he wanted to continue the conversation. She repressed a groan. Beckett reminded her of Gabe Labrash, though admittedly her ex-boyfriend wasn’t as poster handsome as the man standing in front of her. Gabe had taught her the dangers of getting involved with a pro athlete, but that wasn’t a good enough reason to be flat-out rude to a stranger. “You have sharp eyes,” she said. Amy nodded, knowing how easy it was to lose your French in southern Florida. Sure, there were thousands of Quebec expatriates and snowbirds there, and you could buy La Presse in some Fort Lauderdale convenience stores. But English was too dominant to allow most people to preserve their native language and pass it down. She’d managed, but only through iron will and fanatical determination to spend every vacation in Quebec since her family had forced her to leave. But her younger sister, Marie-Louise, had already lost some of her fluency, and M.L.’s little boy would probably be barely functional in French. “It’s hard to maintain a language in a foreign environment,” she said, beginning to enjoy the conversation. Beckett shifted closer. It was an easy, fluid movement, but one which brought her native sense of caution flooding back. “I guess you’re doing one of those celebrity visits,” Amy said, thinking back to all the times she’d seen athletes, actors, and politicians make whirlwind tours of children’s hospitals. Beckett’s smile faded. “Not really.” He suddenly sounded cool. Amy knew Kellen Cramer, all right. Her boss, captain and commander of the division that included her Homicide Unit. Talk about a small world. And not in a good way. Beckett raised his eyebrows, his gaze latching onto her with a sharp return of interest. Sexual interest, by the look of it. But she didn’t stick around long enough to give him a chance to reply. Every cop instinct she possessed shrieked that Luke Beckett was capable of weaving a web and capturing a victim in the time it took to drink a cup of coffee. Amy simply refused to play fly to Luke Beckett’s spider. Not after Gabe Labrash. She wouldn’t make that mistake twice. What’s your favorite type of heroine in romantic suspense novels? One person who comments will win a copy of my award-winning VK Sykes anthology, The Philadelphia Patriots. Vanessa Kelly and Randy Sykes write USA Today Bestselling romance as VK Sykes. You can find on them on the web at www.vksykes.com, and on Facebook and Twitter. Thank you so much for sharing with us, Vanessa! If I didn’t already own the book, I’d be off to snag it after reading that snippet. Okay, it’s comment time! On the line is that awesome box set which contains the three novels, Fastball, Hardball and Bigger Than Beckham.